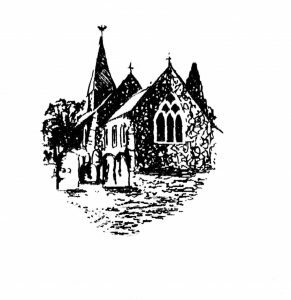 The “Friends Of St. John The Baptist Church, Capel” were formed on March 12th 1991 to raise money in times of need to maintain and improve the fabric of our 12th century Church, which stands at the centre of the village. The Friends are a registered Charity (Reg No 1002376). “Friends” represents not only church-goers but also members of the local community who take a keen interest in its history, up-keep of the village and maintenance of its buildings. Over the years contributions have been made to roof repairs both to the west porch and the north aisle. Also the path was re-laid. Internal improvements to the toilet and kitchen brought the church up to modern standards. Income is predominantly derived from two sources. Firstly, the fantastic “tea ladies” produce and serve Sunday teas in the church throughout the summer and autumn and well into winter. Capel Teas have a reputation far and wide and have become part of the local scene and add greatly to village social life. Secondly, every year there is this annual Capel Classic Car & Bike Show which attracts around 650 exhibits from all over the south of England. The Car Show has now been “twinned” with the Capel Horticultural Annual Show. It’s a great day out for all the family. Over the years these two combine have come to be largest village show in Surrey. A great display of community spirit. Many people have asked about the donation aspect of the registration fee. Here’s a short explanation. Our show is a fund raiser for the Friends of St John the Baptist, Capel. Your donations pay for the organisation of the show, the security, first aid, insurance etc. In other words all the necessary things that are needed to make it happen. After costs, all proceeds go towards the upkeep of our 12th Century Church. We are here to raise money for this good cause. As such your donation (i.e. an amount chosen by you that you freely give to us) is unrelated to the value of the service we provide. This being a donation means it is also non-refundable and it enables us to reclaim tax (through Gift Aid) if you allow us to do that. We have set a minimum donation of £7.50 in 2017. It had been £5 for the 10 years before that. Effectively, taking account of inflation, a minimum donation now is not that much more in real terms than 10 years ago. In the past we’ve even had the option of not donating anything at all, even giving away commemorative plaques. Effectively this meant a loss to us and was simply not sustainable. The entry fees to the show for visitors are set independently and are more or less governed by market pricing (i.e. it is compared to other show fees in the area and feedback from visitors). The entry price is for the Capel Show and thus covers both Car & Bike Show and the Horticultural Show. These fees are also not donations.